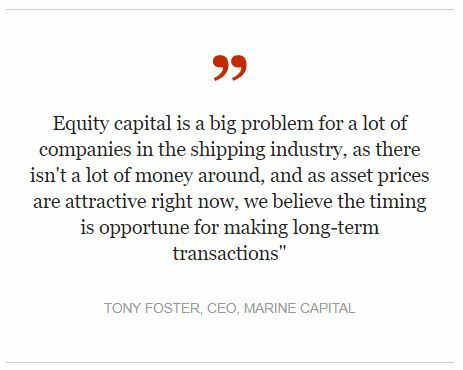 The global marine markets are challenging and often complex, with shifting market conditions, multiple regulatory frameworks and opportunities for investment offering various risk and return profiles. Our specialist team has vast experience covering all aspects of the marine industry—direct investment, research, finance, commercial and technical/operational management. The combination of these skills uniquely positions Marine Capital within the industry—able to analyse markets, individual assets, companies and transactions. Additionally, as a regulated asset manager with a first class reputation for operational capability, we have direct access to these opportunities as they become available. Detailed macro-analysis and sophisticated modelling by our dedicated in-house research team provides key support to our services, tailored to meet clients’ specific needs. Our expert technical team has deep knowledge across marine sectors, and we can advise on issues relating to construction, operation, inspection and suitability of marine assets. Our highly experienced commercial team can advise on all aspects of marine transaction structuring and financing. For more than 15 years, Marine Capital has provided specialist advisory services, ranging from assessment of project-specific asset opportunities, negotiation of distressed fleet and loan portfolio disposals, M&A advisory and commercial due diligence on marine and related infrastructure transactions.